A research project between Volkswagen and Stanford University has developed a new manufacturing process for hydrogen fuel cells, which could cut costs and improve both durability and efficiency of the technology. 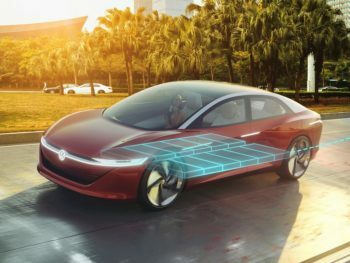 Volkswagen and Stanford have developed a route which could enable cheaper fuel cell and electric cars. The development minimises the use of expensive platinum, used as a catalyst in the fuel cell. This is usually distributed as particles on carbon powder, which is wasteful as it’s only the surface of the platinum particles where the catalytic process takes place. Research by Volkswagen and Stanford University has developed a process where platinum atoms are instead placed on a carbon surface, which enables a much thinner layer of particles to be used. This is said to improve efficiency three fold, improve durability and significantly cut costs, in turn enabling the vehicles to become mass-market more quickly. Volkswagen said this could also be used to reduce the amounts of precious metal used in lithium ion batteries, with similar benefits.